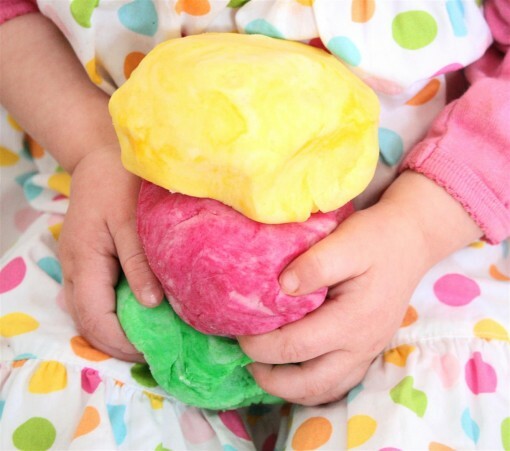 Homemade Play Dough was posted on February 28th, 2011 and is filed under Arts & Crafts, Kid Friendly. This entry has 9 comments. You can follow any responses through the RSS 2.0 Comment Feed. This week has been very special because my sister and her family have been visiting. 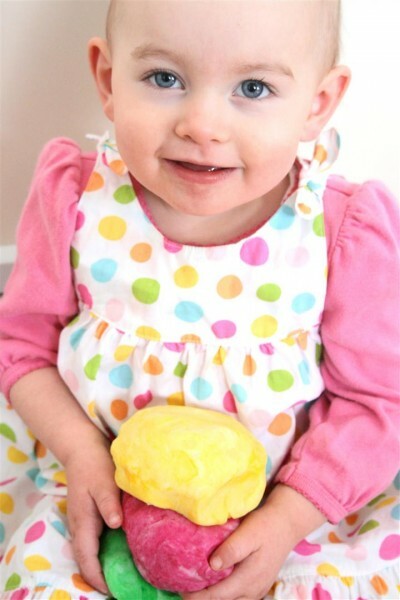 My sister has a sweet daughter who is such a little honey! We’ve been having such fun playing together. After being here a week, they’re leaving tomorrow so I’m going to miss little Katy so much. 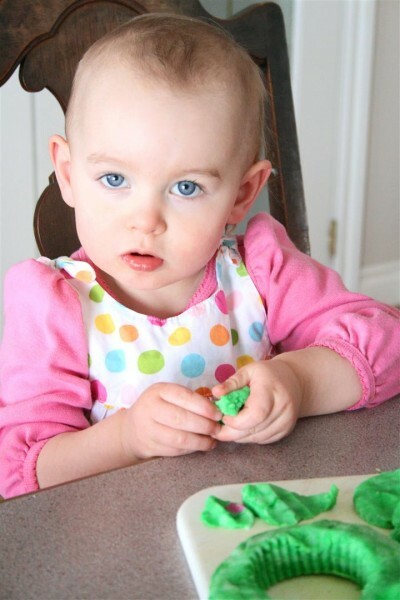 When I was growing up I played with play dough quite a lot, make believing I was working a bakery or restaurant. I loved squeezing the dough right after it came off the stovetop because it was so warm. Those are such good childhood memories. It was so fun to watch my little niece as she played with it this afternoon. She loved pulling it apart with her fingers and smooshing the dough flat. This is the recipe that we used. Mix the first three ingredients together. Add the boiling water and the oil. Stir into a dough. Divide into three balls. I added red food colouring to one, green colouring and mint extract to another, and banana extract and yellow colouring to the last ball. It’s adds a fun element when you add a scent to the dough. Hope your kidlets enjoy this as much as my niece did! Get the latest updates on my blog by subscribing to my feed! What crafts do you do with your children (or little friends in your life)? i always enjoy looking at the photography. you do such a professional job. Thank you for your sweet comment on my blog. Yes, it’s a lot of work to translate everything. Your niece is so cute :). I bake and cook a lot with my children. They enjoy it so much. Popped in to say hi! This would be so cute for my friend’s little ones! I think it’s so cool you oil paint. I’ve always wanted to, but I tend to stick to mixed media. Laurel- thank you for the offer! What an adorable little girl!! 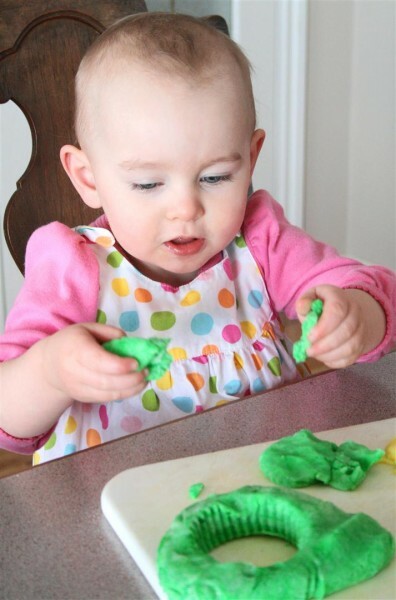 I love the pictures, and the playdough idea (making it from scratch) is such a great thought. You blog is so interesting and my husband and I both enjoy looking at it. Great pictures, recipes and writing.